Barlow Road: 1991, by the Clackamas County Historical Society and the Wasco County Historical Society, published by J.Y. Hollingsworth Co., Portland, OR; collection of articles by various authors. Bliss, Lucia A., Early History of Oswego, Oregon: (c1944), photocopy 1961 by Lake Oswego Public Schools, OR. Canby 1893-1993: 1993 by the Canby Centennial Celebration Committee, published by the Canby Herald, OR. Clackamas County Historical Society, Clackamas County Historical(s): a periodical published in pamphlet form; some titles reprinted and hardbound; sources used for the Clackamas County web page include: "Oregon Centennial 1859-1959, " "History of Willamette Falls," and "The Firsts of Clackamas County." History of Clackamas County: Land and the People: joint project of the Clackamas Community College (professor Merlin McGladrey and students) and the Oregon Historical Society, published by NEH grant, 1972. Just Yesterday: a Brief Story of West Linn, Oregon: 1976, by the West Linn Bicentennial Committee, published by the American Revolution Bicentennial Commission of Oregon. Lynch, Vera Martin, Free Land for Free Men: A Story of Clackamas County: 1973, Artline Printing Inc., Portland, OR. Maybee, Lottie (Forbes, Morris) and Forrest Dale Forbes, Days and Ways of Old Damascus Oregon: 1962, Damascus Road Press, Calimesa, CA. McNeil, Fred H., McNeil's Mt Hood; Wyeast the Mountain Revisited: 1990, The Zig Zag Papers, Zig Zag, OR. Old Oregon City: photograph portfolio, edited by Wilmer Gardner for the Clackamas County Historical Society, 1976. Welsh, William D., A Brief History of Oregon City and West Linn, Oregon: 1941, Oregon City Enterprise-Courier for the Crown Zellerbach Corporation. Ames, Kenneth M. and Herber G.D. Maschner, Archaeology of the Northwest Coast: Dec. 15, 1995 (Draft for Anth 364, Portland State University), published in spiral bind by Clean Copy, Portland, OR. Berreman, Joel V., "Tribal Distribution in Oregon," Memoirs of the American Anthropological Association: 1969, Menasha, WI, printed by Kraus Reprint Co., NY. Ruby, Robert H. and John A. Brown, Indians of the Pacific Northwest: 1981, University of Oklahoma Press, Norman. Sanders, Judith A., Mary K. Weber, and David R. Brauner, Willamette Mission Acheological Project (Phase III Assessment): 1983, (also Anthropology Northwest: Number 1), for the State Historic Preservation Office, by the Department of Anthropology, Oregon State University, Corvalis, pp. 42-48. 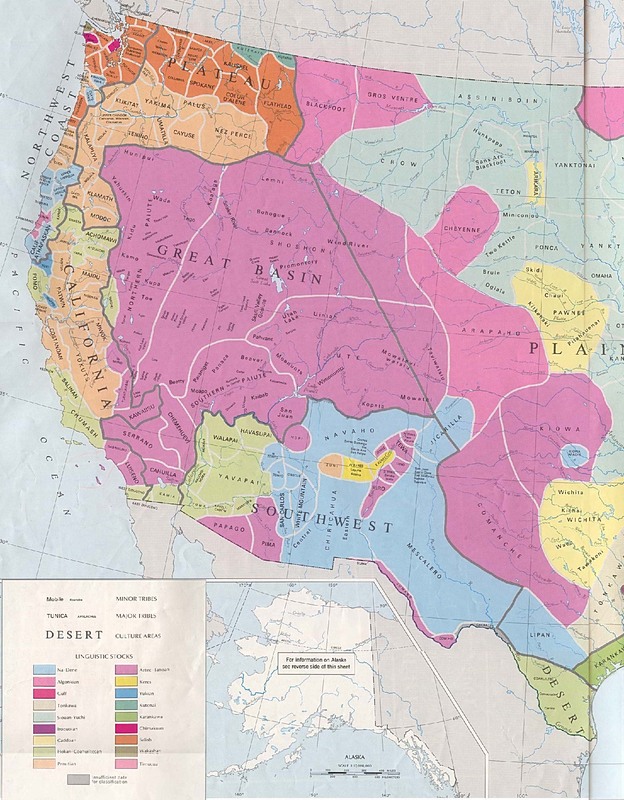 Zucker, Jeff, Kay Hummel, and Bob Hogfoss, Oregon Indians: Culture, History and Current Affairs: An Atlas and Introduction: 1983, Western Imprints of the Oregon Historical Society. Bancroft, Hubert Howe, Works of ... (History of Oregon, History of the Pacific States, History of the Northwest Coast, and California Series): 1884 +, McGraw-Hill Book Company and A.L. Bancroft & Company, San Francisco. A multi-volume work renumbered for various series and editions; California, vol.1, is vol. 29 of Works of .... etc. Bennett, Robert A., editor, We'll All Go Home in the Spring: 1984, Pioneer Press, Walla Walla, Washington. Bowen, William A., The Willamette Valley: Migration and Settlement on the Oregon Frontier: 1978, University of Washington Press, Seattle. Chittenden, Hiram Martin, History of the American Fur Trade: n.d., Academic Reprints, Stanford, CA. Dodds, Gordon B., Oregon: A Bicentennial History: 1977, W.W. Norton & Company. Evans, Elwood C., History of the Pacific Northwest: 1889. Franzwa, Gregory M., Maps of the Oregon Trail: 1982, The Patrice Press. Green, Frank L., Captains, Curates, and Cockneys: The English in the Pacific Northwest: 1981, Washington State Historical Society, Tacoma. Hafen, Leroy R., The Mountain Men and the Fur Trade of the Far West: 1965 (as volume 1 of The Far West and Rockies Series), Arthur and Clark, Glendale, California. The 10 volume Series contains excerpts, diaries, letters, and testimony by mountain men and overlanders. Volume 10 is a bibliography and index. Jackson, John C., Children of the Fur Trade, Mountain Press Publishing Company: 1995. Johansen, Dorothy O. and Charles M. Gates, Empire of the Columbia: 1957, Harper & Row, New York. Mattes, Merril J., The Great Platte River Road: Grand Corridor of Westward Expansion: 1969, Nebraska State Historical Society. McLagan, Elizabeth, A Peculiar Paradise: a History of Blacks in Oregon, 1788-1940: 1980, Georgian Press, Portland. O'Donnell, Terence, That Balance So Rare:1988, Oregon Historical Society Press. Unruh, John D. Jr., The Plains Across: 1979, University of Illinois Press. Oregon Territory and Pioneers, biographies, events, topics, more; a premier Oregon Trail site.